On Jan. 27 the Syrian Arab Army (SAA) and its allies captured hilltops of Tal Hamad and Tal Koum in the Sheikh Miskeen countryside expanding a security zone around this city. The clashes with Al-Nusra, Jaysh Al-Islam and the Free Syrian Army (FSA) are continuing in this area. The town of Nawa is the next expected target of the loyalists’ offensive. If it’s captured, the Syrian army will be able to continue the advance in direction of Jassim. Following the fierce clashes, the SAA is continuing to push ISIS back from the ground West from the Kuweires airbase. 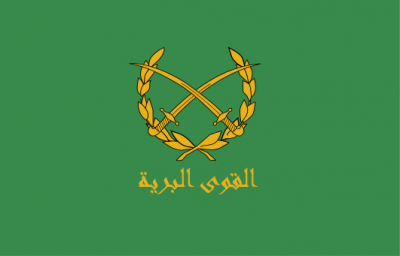 The village of Wadi’ah and its surroundings have been liberated by the pro-government forces. The Syrian warplanes targeted at least six bases, including a training camp, in al-Tayibeh farms, As Sin and Barlehiya in the Eastern countryside of the Aleppo city. The militant groups’ fortified strongholds in al-Enjlisiyeh graveyard region and al-Jandoul were also targeted by the Syrian Air Force. The SAA’s artillery and warplanes heavily bombarded the militant groups’ defense lines and strongholds near the town of Kinsabba in the Latakia province. The pro-government sources argue that the militants suffered a heavy death toll in these attacks. Russian officers have reportedly met with Syrian Kurdish officials in northeastern Syria to hold talks on military coordination during the possible offensive of the Kurdish People’s Protection Units (YPG) on Jarabulus located on the Turkish border. The Russian Aerospace Defense Forces have already provided support to the Kurds’ advances against ISIS. However, the Russian mission reinforces the narrative that Russia is enhancing ties with the YPG and other armed groups, such as Assyrian and Arab militias, in the north. If you’re able, and if you like our content and approach, please support the project.